Is your Parkland home protected from the heavy rains and unpredictable weather common to the local region? The roof is one of the first lines of defense that your home has against an ever-changing climate, and Tristate Roofing has offered professional, streamlined services to keep your roof in prime condition since 2004. With our GAF MasterElite status, we are the first choice for installing new roofs and completing repairs of all complexities—while standing behind our work with exclusive warranty coverage for your peace of mind. Professional: As a GAF MasterElite Contractor and recipient of many industry awards and recognitions, you can rely on us to deliver the utmost professionalism and care. Timely: There’s no time to waste with a damaged roof, and we offer fast appointments and response times to ensure that your home roof is repaired as quickly as possible. Guaranteed: At Tristate Roofing, we back the quality of all of the work that we complete and the products we install by offering long-term warranties. While installing a new roof can be an overwhelming process, it doesn’t have to be a stressful experience when you work with the certified contractors at Tristate Roofing. Our roofing team is certified, experienced, and recognized throughout the industry for our superior roof installation services. From the installation of a durable metal roof to installing custom shingles on your home, we do what it takes to ensure your complete satisfaction. 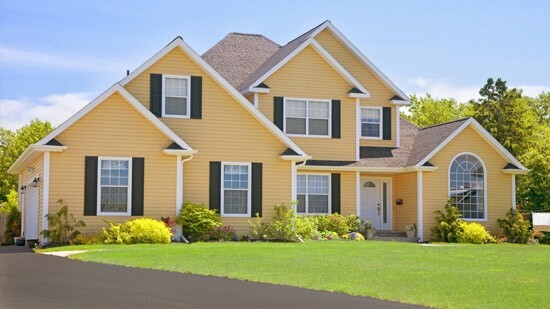 Tristate Roofing offers comprehensive exterior remodeling services to homeowners throughout the Parkland area. With our impressive product selection, we can upgrade all of the most essential features of your home with high-quality, efficient doors, windows, roofing, and gutters. Our experienced installers will work with you to determine the right products and services for your needs, and you can feel confident knowing your project is in the best of hands with our highly certified contractors. When it comes to Parkland roofing and remodeling, there is no better choice for an exterior contractor than Tristate Roofing—the award-winning, family owned company that is committed to your satisfaction. Learn more about our products and services today by giving us a call, and we’d be happy to answer any questions you may have. You can also request a free estimate and consultation now by filling out our online form!